One of the most stressful aspects of planning a vacation is figuring out your itinerary. If you're like me then you may feel pressured to pack as much as possible into your trip in order to justify the financial investment— but bouncing around from one tourist site to another is no fun either and takes time away from one of the best parts of traveling: stumbling upon your own serendipitous discoveries. This stress is especially maximized if your trip is time-boxed due to your work schedule. Over the years I've come to fall back on a few patterns which have helped me balance the desire to "see it all" with my desire to relax while I'm on vacation. I hope these tips are helpful to anyone else who feels overwhelmed when planning itineraries. 1. Identify legitimate "FOMO" from forced "FOMO". 90% of travel writers are going to tell you to skip any popular tourist attractions on the basis of it being too crowded, or "ruined". I actually have an issue with this hipster approach to travel. Some places are popular for a reason and you shouldn't deprive yourself of an experience just because other people want to experience it too. Approaching popular attractions with the positive mindset that I'm going to experience this place with other humans from all around the world usually makes me a little more zen about dealing with crowds. Now, while crowds don't bother me as much, lines and exorbitant entrance fees do. I still need a way to suss out what's worth the time and the cost. 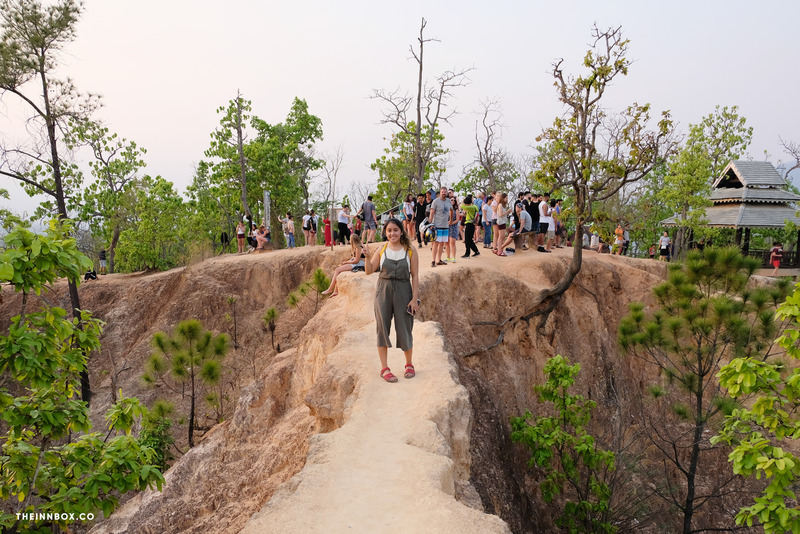 Hanging with the crowds at Pai Canyon. Still 100% worth coming here to view the sunset. My rubric for sussing out what's worth it usually comes down to: is this a place I can experience beyond just looking at it? Do I have some understanding of the history and context of the place I'm visiting, or is it interactive in some way that makes physically going there different from looking at a picture or admiring it from afar? The Statue of Liberty is a good example. Personally I've always been more satisfied with taking the free Staten Island ferry across the river to get a good view of the statue without having to actually go there. However, if my ancestors came to America through Ellis Island then I might have the historical and cultural context which would make physically going there more meaningful for me. So what's "worth visiting" is really a personal question. Crowds on the beach at James Bond Island (photo by Jiashang) vs James Bond Island II. 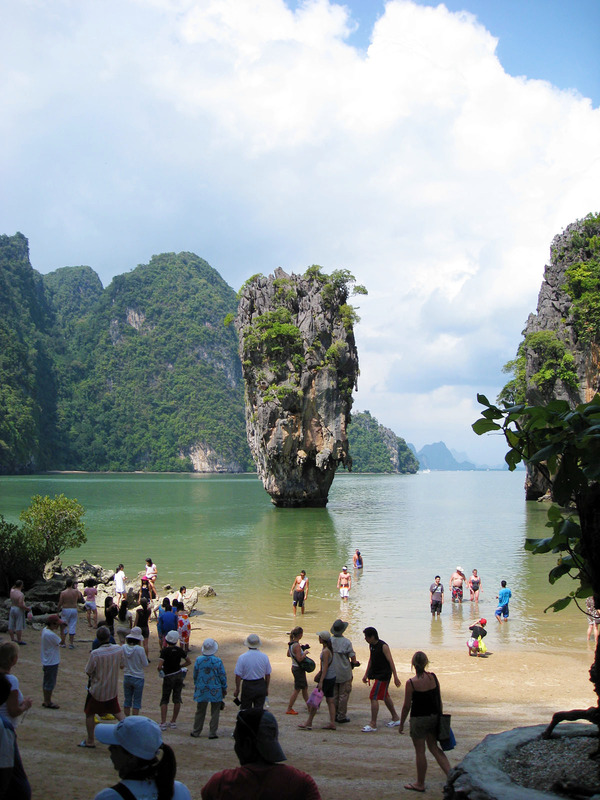 Another example is James Bond Island near Phuket, which is popular because of the film The Man with the Golden Gun. I'll admit, I experienced FOMO over this one after seeing stunning photos of it on Instagram. Then I realized that this place is packed all day long and you can't really go up to the island, just look at it from the nearby beach. To me, this experience was the equivalent of looking at a photo. Instead, we chose to go on an evening tour which purposely by-passes James Bond Island. We didn't choose the tour for this reason but as a bonus it did take us to "James Bond Island 2" which may be less gravity-defying but also less crowded and allowed us to kayak right up to it. As a part of that tour we also got to see (and wave our hands through) bio-luminescent sea plankton, an experience you can't get from a photograph. Putting an emphasis on traveling ethically is another way to cut out a lot of "popular" attractions without any qualms about missing out. As a result of this mindset I didn't swim with the whale sharks in Cebu, one of the most popular things to do on the island, but as a result I had the time to visit an additional island in The Philippines. We also ended up not visiting a waterfall in Koh Samui because of it's affiliation with an exploitive elephant riding tour, which in turn left us with a lot more time to chill on the beach. Similarly, I personally didn't feel comfortable visiting any plantations in Savannah which made the pace of my short two day trip there a lot more relaxing in more ways than one. Choosing to abstain from an attraction because it is endangering animals or profitting off of people's pain is a much better reason than just because "other people like this thing". 3. Treat down time like it's an attraction worth seeing. 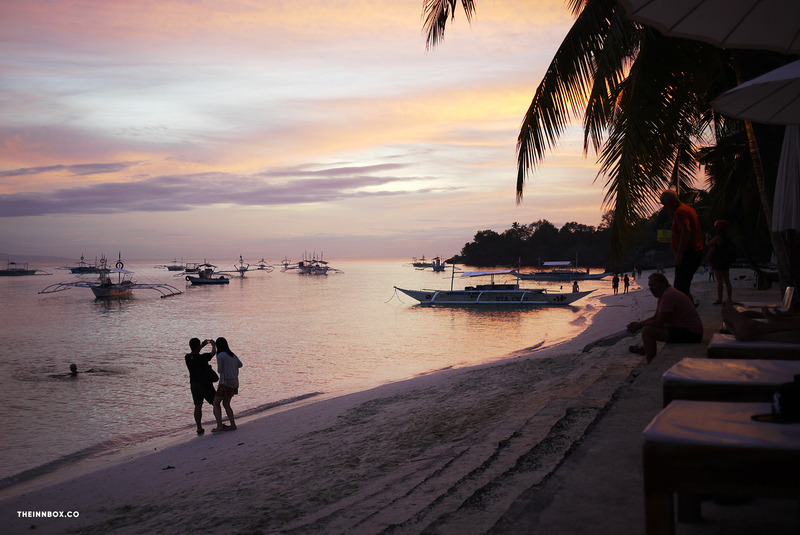 Panglao Beach in The Philippines. We had nothing planned after arriving on the island of Bohol so we wandered over to the nearby beach to check it out and witnessed one of the most stunning sunsets. For me, "down-time" doesn't mean doing nothing. It's just a block of time with nothing specific scheduled in it. People do this often at work— blocking out a chunk of time so colleagues wouldn't schedule meetings over it. I usually like to dedicate at least one day in every city I visit to this. It's become the equivalent of a sight I need to see when I travel. I'd like to experience what it would be like to live in the place I've traveled to, at least for one day. "Travel days", a.k.a. the days you arrive and depart a location are ideal for this. You're already probably wiped from your journey so you want to relax anyway. If you're arriving it's the perfect time to get acquainted with the new place without the stress of needing to get somewhere on time, and likewise it's a nice buffer on your way out to prevent yourself from overextending and then rushing to catch your flight/boat/train. 4. Arrive early, leave late. With this in mind, I usually try to arrive early in the morning (even if that means taking a red-eye) and departing late in the evening in order to maximize the time that I have in that place. Since I stay in so many hotels this is also a way for me to maximize that expense, by having more time to utilize the facilities. When we have a late flight we're usually able to store our luggage at the hotel and then go do stuff for the rest of the day. Although in situations where we've stayed at an Airbnb and might need to carry our stuff around with us I always advocate for traveling for backpacks over suitcases when possible. 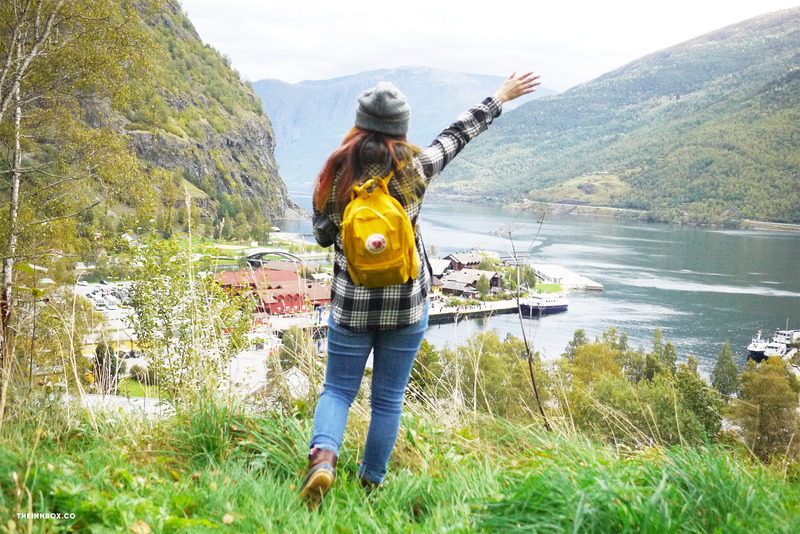 I've also written before about why backpacks are better for solo travelers. 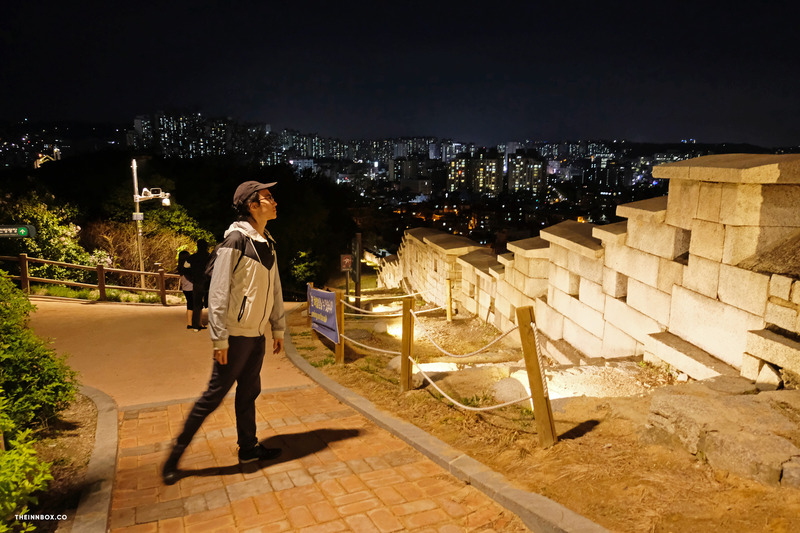 A night hike in Seoul, done a few hours before an 11PM departing flight. Another added bonus of the arrive early / leave late philosophy is that it scores you two extra meals wherever you're traveling to, which is very important if like me you travel to eat. 5. Think of countries regionally rather than as one singular entity. Something I struggled with when I first started traveling was this idea that I would only go to a certain country or city once in my lifetime. I felt like with limited funds and a whole world out there to see, I couldn't go back to the same place twice which made me feel like I really had to hit up all those famous landmarks. Something that helped me get over this was to think of my destinations more in terms of regions or neighborhoods than specific attractions or sites. If I focused too much on specific sites I would end up with a very scattered itinerary and a lot of time wasted traveling from place to place. When I focus on a region this is inclusive of both the tourist sites within that region but also the time to discover daily life in that location. 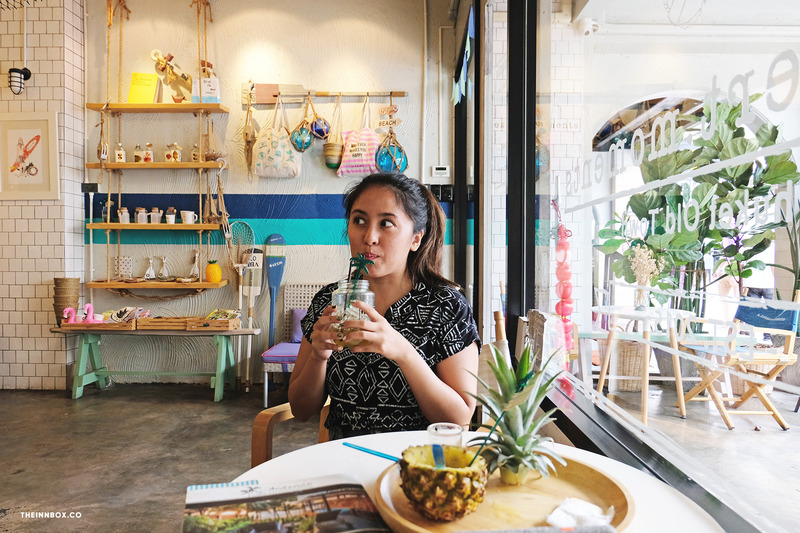 An adorable dessert shop in Phuket Old Town we stumbled upon during "down time" shortly after arriving in town. Thailand is a great example. 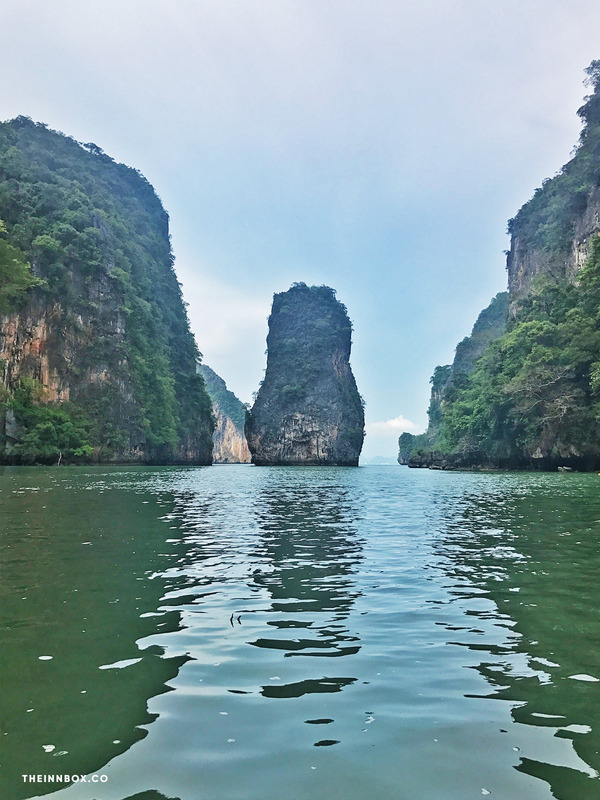 It's a really popular itinerary to hop from Bangkok to Chiang Mai in the north to one of the southern islands in order to get a little taste of everything Thailand has to offer. I think this can work if you have a significant amount of time but for those taking vacation days off from work I actually think it's better to pick one region and experience everything there because whether you go north, south, or central, there will be no shortage of beautiful sights and tasty food. Thinking of things regionally has helped me curb this notion of not wanting to go back to somewhere I've already been. It's less "I've already been to Thailand" and more "I've been to Northern Thailand, next time I want to go to the South". 6. Plan a circular itinerary. 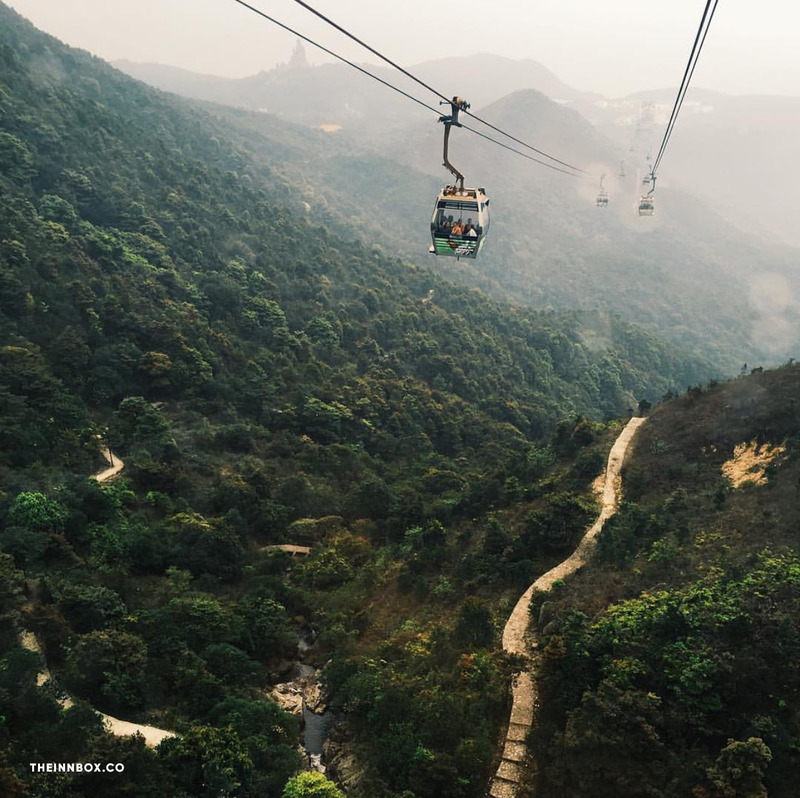 If you are going to visit multiple sites in a day, multiple neighborhoods in a weekend, multiple cities in a trip, it's usually better to plan a circular route than to travel back and forth from a central location. Even though conventional knowledge is that round trip flights are cheaper than one way, it's usually not that much cheaper and you can save a few hours with a more streamlined path. This also applies to where you're staying. 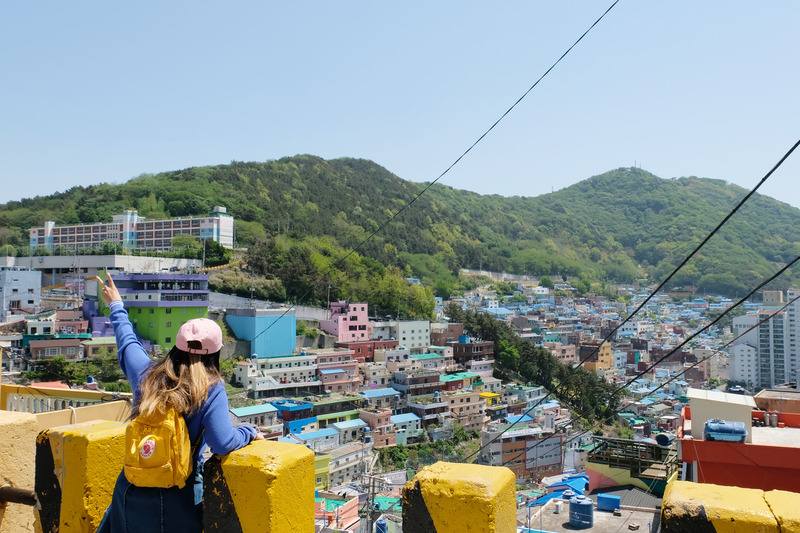 In big metropolitan areas like Seoul I'll even plan to move hotels or airbnbs so that I can more conveniently explore different neighborhoods instead of having to go back and forth. The added bonus is that I get to stay in more cute places. I arrived in Flam after taking a train from Oslo and transferring to a smaller train. Rather than repeating my steps to get back on the train track to Bergen I decided to take a ferry directly from the port in Flam instead, which also offered me an up close view of the fjords. 6. View your mode of transportation as an excursion. 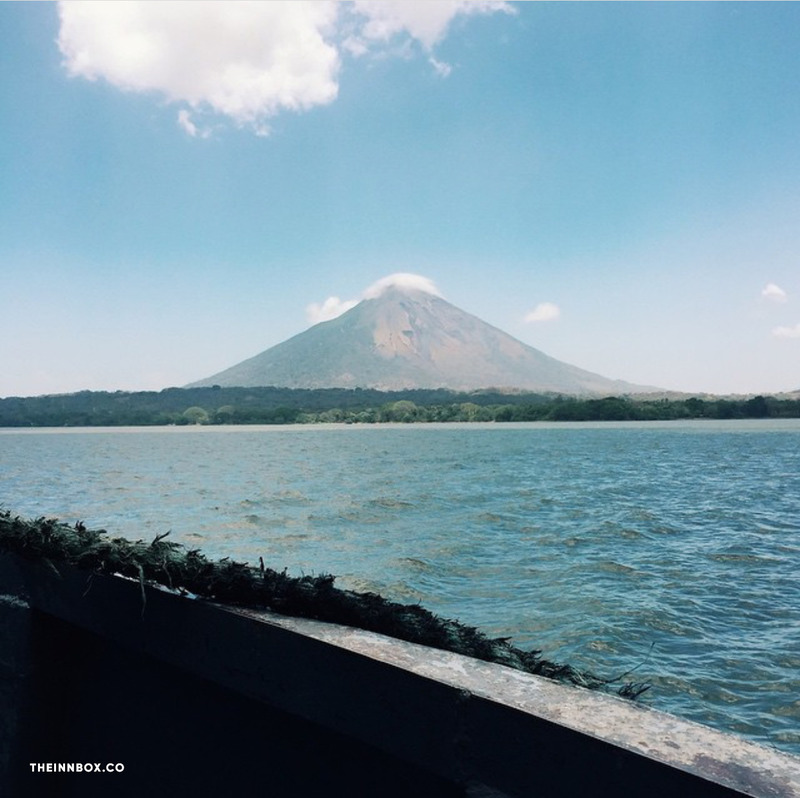 Taking a rocky boat ride to Ometepe island in Nicaragua; riding a cable car to Lantau Island in Hong Kong. As they say: it's about the journey not the destination. When you're visiting another country, if you plan to visit more than one city you are inevitably going to spend a lot of time in transit. If you can make that mode of transportation something novel, something that's exciting and fully a part of the experience, then you won't feel like you're wasting time in transit. For me, personally, boat rides are always exciting. It's just not something I do every day so I don't mind taking ferries to get around. Even when they're slightly unpleasant and I feel seasick, I feel like it's a part of the experience. For folks who don't fly often, getting on an airplane may provide a similar feeling. Gamcheon Cultural Village in Busan, South Korea. Tourist-y? Yes. Worth it? Yes. Plus conveniently located on a circuit with fellow attractions Taejongdae Park and BIFF Square. I hope this helps reduce some of the stress and anxiety associated with planning itineraries, but if all else fails just remember this: you're going somewhere different from your day to day so it's going to be exciting no matter what. Even if you don't see any major tourist attractions. Even if it that's all you see. At the end of the day it's still a vacation and the only way you can mess that up is if you forget to delete Slack from your phone.